Emerging evidence that some victims were among the bank’s most vulnerable customers has given fresh ammunition to lawmakers and regulators who have more questions for Wells Fargo management. Mexican immigrants who speak little English. Older adults with memory problems. College students opening their first bank accounts. Small-business owners with several lines of credit. These were some of the customers whom bankers at Wells Fargo, trying to meet steep sales goals and avoid being fired, targeted for unauthorized or unnecessary accounts, according to legal filings and statements from former bank employees. Wells Fargo would like to close the chapter on the sham-account scandal, saying it has changed its policies, replaced its chief executive, agreed to pay $185 million in penalties and refunded $2.6 million to customers. But lawmakers and regulators say they will not let it go that quickly, and emerging evidence that some victims were among the bank’s most vulnerable customers has given them fresh ammunition. 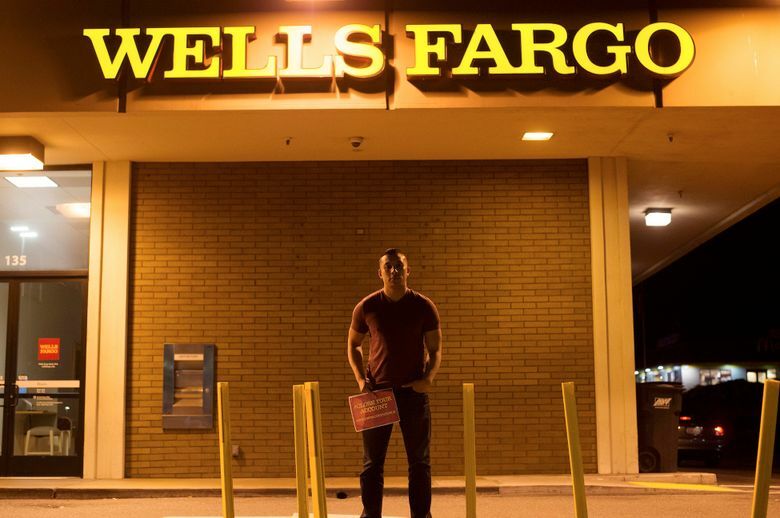 This week, three members of the board of supervisors in San Francisco, Wells Fargo’s hometown, introduced a resolution calling on the city to cut all financial ties with the bank. They cited both the recent scandal and past cases — particularly the $175 million that Wells Fargo paid in 2012 to settle accusations that its mortgage brokers had discriminated against black and Hispanic borrowers. After the Senate Banking Committee held a blistering hearing last month with the bank’s chief executive, John G. Stumpf, who has since retired, it followed up with a letter containing 58 additional questions for the bank. Among them: What proportion of the harmed customers are old, members of ethnic minorities or military veterans? The committee is still waiting for a response. The Justice Department and California’s attorney general are also investigating the bank. In interviews and lawsuits, Wells Fargo employees have described in vivid detail some of the predatory practices they saw. At a branch in Scottsdale, Ariz., members of a local Native American community would arrive like clockwork every three months with checks for their share of the community’s casino revenue. It was then, said Ricky M. Hansen Jr., a former branch manager there, that some bankers would try to dupe them into opening unnecessary accounts laden with fees. In California, it was people with identification cards issued by Mexican consulates. The absence of a Social Security number made it simpler for Wells Fargo employees to open fraudulent accounts in those customers’ names. Wells Fargo is one of the few major banks to permit accounts to be opened without Social Security numbers. And in Illinois, one former teller described watching in frustration as older customers fell prey. “We had customers of all ages, but the elderly ones would at times be targeted, because they don’t ask many questions about fees and such,” Brandi Baker, who worked at a branch in Galesburg, Ill., said in an interview. Since the scandal broke, Wells Fargo says it has eliminated the sales goals that pressured bankers to open sham accounts. It has also replaced Stumpf with Timothy J. Sloan, formerly the chief operating officer, and begun contacting all of its deposit customers to ask if they would like to review their accounts. The bank is still conducting an internal investigation into its sales practices. Current and former Wells Fargo employees say the problems continued well into this year.